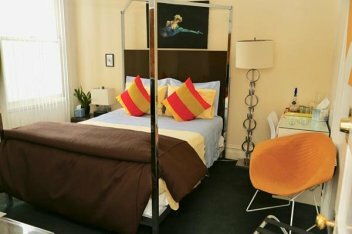 A stay at "The INN on Castro", the only accommodation at Castro and Market Streets affords an incomparable way to experience San Francisco's charm and hospitality from the heart of the City's gay and lesbian community. Stunningly decorated with contemporary furnishings, the Inn is a restored Edwardian building. The individual bedrooms are warm and inviting and brightly accented with original paintings. Large bouquets of fresh flowers are abundant throughout the Inn. The cozy living room, with its fireplace and deeply tufted Italian module seating, is a marvelous place to unwind in -- just great to curl up with a good book and enjoy a brandy, compliments of your hosts. We serve our well-known full breakfast in the adjacent dining room. 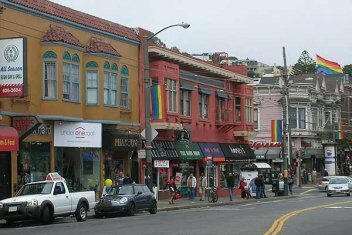 The INN on Castro attracts 40% of its guests from international sources. Our owner and manager hails from Holland and still has European charm as well as a faculty with multiple languages - including Spanish. This mixture of US and International sources makes for interesting conversation, helpful suggestions for the international traveler and a real treat for those interested in an international dialog. Our staff is local and, as such, is very familiar with local transportation, restaurants, bars and just the right places to find what you are looking for in San Francisco. The INN maintains current information regarding local art, music events, Opera, Ballet, Symphony, current theater and music presentations. We can accommodate needs for families of patients in the nearby hospital. The Castro Theater, an icon of the community for film festivals and for current and classic film presentations, is a block from our door. High-end shopping is a MUNI (Municipal transportation/subway) trip away. The MUNI stop is 1/2 block away from our door. 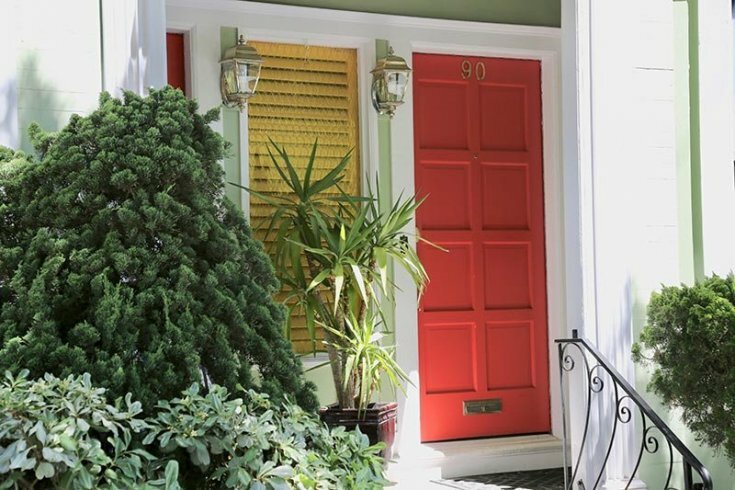 Take advantage of local walking trips sponsored by the San Francisco Historical Society to see diverse areas of SF including those from Haight Asbury to the Presidio. The Market Street Trolley stop is 1/2 block away and runs to the Embarcadero. Fisherman's Wharf, Ghiradelli Square Pier 39 for Alcatraz (reservations for water transportation are needed in advance - ask us how), The Pier 24 Photo Museum and The Exploratorium. MUNI/subway station Castro has every 5 minutes a train connecting to the Embarcadero via Union Square at Powell station. The INN, known for more than 41 years for its hospitality and friendly atmosphere, has 8 rooms and suites with views and private bathrooms as well as self-catering apartments.